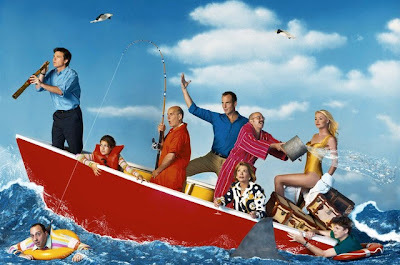 As reported by EW.com, Mitchell Hurwitz and the Bluth family (a.k.a. the cast of Arrested Development) announced today at the New Yorker Festival that not only is the long-awaited Arrested Development movie actually happening, it's going to be preceded by nine or ten episodes, airing on TV next fall, that will show viewers what the Bluths have been up to for last five years. I've been disappointed by promises of an AD movie before, but I've really got my hopes up now. Don't let me down again, Bluth Family!